Come visit us at API’s 2019 Inspection & Mechanical Integrity Summit in Galveston, TX this year. Sensor Networks, Inc. (SNI) is pleased to invite you to booth #508 at next week’s American Petroleum Institute's conference at the Galveston Island Convention Center from January 29th-31st. SNI's booth will feature our wireless UT sensors along with a wide range of conventional and phased-array transducers for thickness and flaw detection as well as our Remote Visual Inspection (RVI) and foreign object retrieval equipment. Stop by the booth and introduce yourself to Dr. James Barshinger and Steve Strachan who will be at the booth during regular show hours or drop us a quick email at strachan@sensornetworksinc.com and let us know if you'd like to schedule an one-on-one appointment. 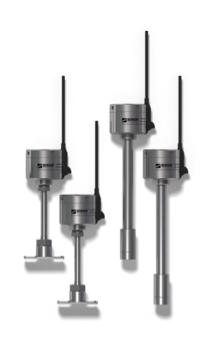 microPIMS® wireless UT sensor systems for corrosion/erosion monitoring via IoT. 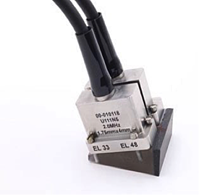 SensorScan® Standard and Custom, Conventional and Phased-array UT Transducers. 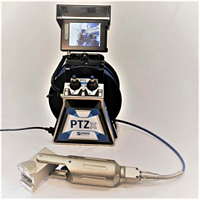 PTZx Pan-Tilt-Zoom color inspection camera and remote retrieval tools. Ultrasonic Applications Engineering Using Phased Array. Tuesday, January 29th, 2019, 11:25 am-11:55 am. Inspection/NDE-1 Ballroom A. Multi-sector Track. Paper #15. Presented by Dr. James Barshinger. Ultrasonic applications can be successfully developed, solved or optimized with either standard "off-the-shelf" or custom-designed and fabricated Phased-Array Ultrasonic (PAUT) transducers. In either case, a process should be followed in order to enable and/or optimize a validated technique. This paper will outline the many steps in the process of PAUT applications engineering and show several case histories of such developments which cover a wide range of plant components. Long Range Wireless UT Sensor Adoption: Corrosion Monitoring & Inspection. Wednesday, January 30th, 2019, 3:50 pm-4:20 pm. Inspection/NDE Galleon 1 Room. Downstream Track. Paper 101. Presented by Steve Strachan. Advances in low cost/long range wireless UT technology have given refineries an opportunity to augment manual inspection teams with installed wall thickness monitoring sensors. A challenge in deploying such systems is the ability to achieve sensor connectivity at a low cost to the plant infrastructure, allowing a dispersed amount of sensor points to exist across multiple process units. A wireless ultrasonic corrosion monitoring sensor was developed utilizing a long-range, low power, wide area network based on LoRa standard and star topology. Over one mile connectivity is being achieved across a number of refineries. Data is backhauled from the sensor to gateway and pushed to a cloud back end for data trending/analysis. This paper will review the development of this technology and deployment case studies.